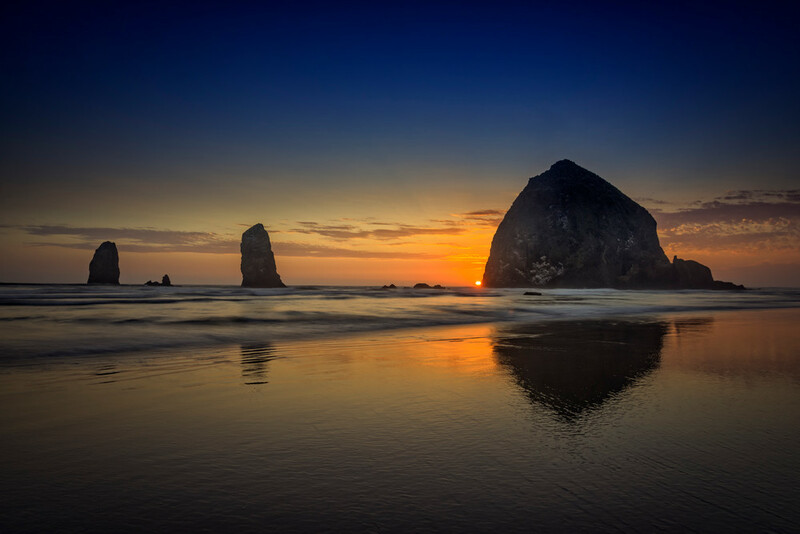 The sun drops behind Haystack Rock on a summer evening in Cannon Beach, Oregon. The sun drops behind Haystack Rock on a summer evening in Cannon Beach, Oregon. I captured this image on a peaceful June evening, with a mist slowly moving onto the beach as the sun went down. Cannon Beach has been a favorite place of mine since my first visit there, due to the seastacks that dominate the view on the beach, and the flat stretch of sand that becomes mirror-like when the water of the Pacific Ocean washes over it.